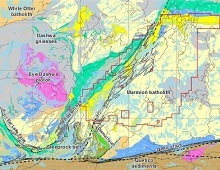 The Hammond Reef gold project is an exploration project in northwest Ontario owned by a partnership of Agnico Eagle (50%) and Yamana Gold (50%). The property contains a large, near-surface mineral deposit. 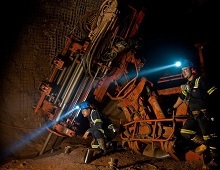 The Hammond Reef gold project was designed based on the discovery of a large low-grade mineral deposit on a peninsula extending into the Marmion Reservoir. 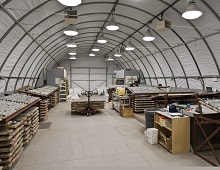 Agnico Eagle’s 50% portion of the resources consists of measured and indicated resources of 180 million tonnes grading 0.65 g/t gold (containing 3.7 million ounces of gold), and inferred resources of 93 million tonnes grading 0.52 g/t gold (containing 1.6 million ounces of gold), using a cut-off gold grade of 0.3 g/t.